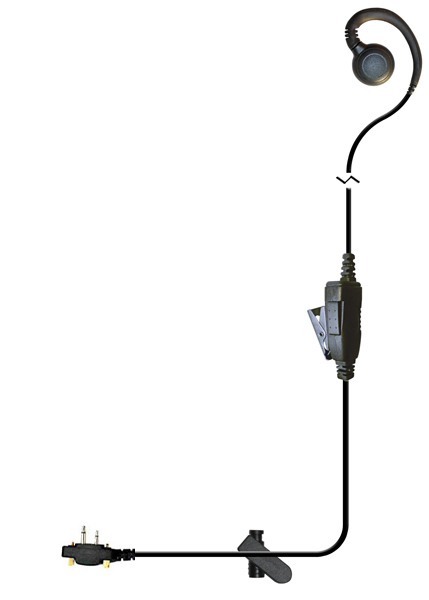 TRUE noise reduction microphone for transmission mode (great in loud areas). 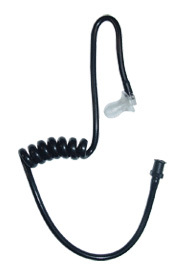 The Shadow is an extremely durable answer for the officer who wants to use his shoulder mic but needs to receive privately. 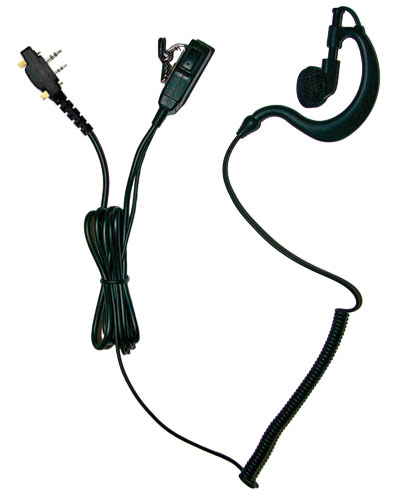 This Listen only earpiece is for use with the above Shoulder Microphones and includes 12" cord. 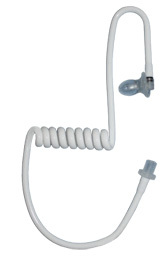 Receive-only earpiece with high-quality speaker, acoustic coil tube, and eartip. Black or clear tube. The Shadow Plus helps users receive messages privately via their speaker microphone in high noise situations be it in crowd control type situations or everyday highway patrol duty. 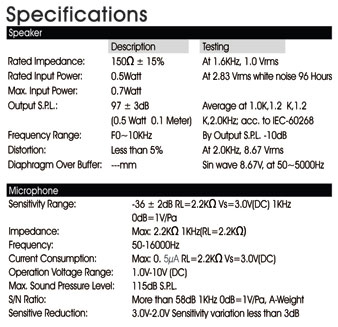 What makes the extra loud volume is the armature speaker amplifier that has been sourced from the Hearing Aid Industry specifically for radio users working in high noise situations. The lightweight and low profile speaker offers 30% more volume than the industry standard diaphragm type receiver and does not drain your radio battery. 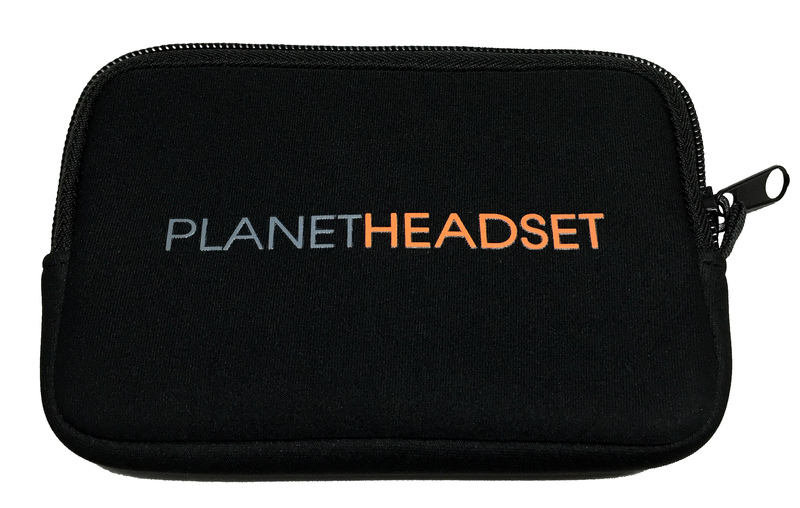 Overcome the noise and receive clear voice audio with this high volume and discreet receive only earpiece. 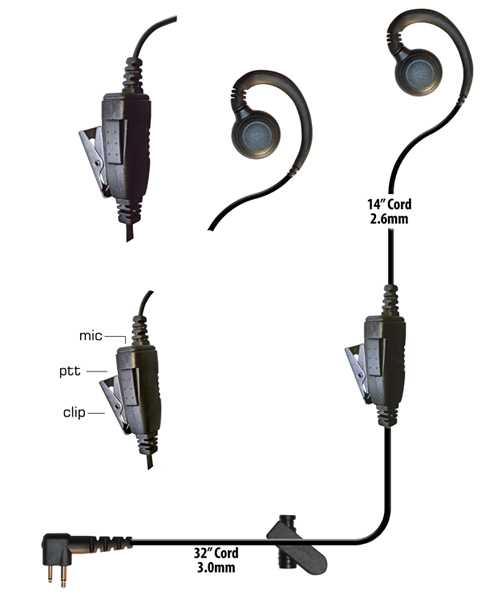 Choose the 12” option below if you are attaching the Plus listen only unit to your shoulder microphone and 42” of cable if you attach it directly to your radio. True Rapid-Rate Charging Cycle" take 90 minutes to fully recharge the batteries. The Multi Bank Fuel Pad Organizer - new! 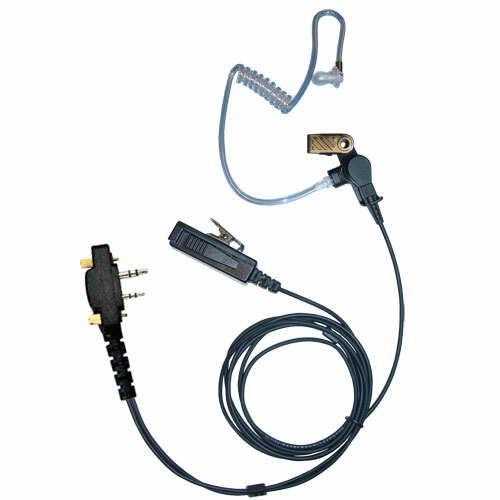 The Multi Bank Fuel Pad is an ingenious design with 3 steps that allows your team to place chargers onto it for a variety of electronic devices, such as 2-way radios, cameras, cell phones, power tools, iPods, and More! Simply plug your single-unit chargers into the built-in power strips underneath the FuelPad, and connect to the charger you place on top of it. Those 3 power strips connected to one industrial grade cable located on the back, allows you to use one wall plug for 12 devices! And the entire thing weighs less than 4 pounds! Now that is simple. Use the single unit charger that came with your radio and plug it into the Multi Bank Fuel Pad Organizer. A simple charging organizer for up to 12 radios with three power strips! No need to buy individual pods. There are power strips underneath the fuel pad that you plug into, with one wall plug cable that comes out the back. Size 17" x 16.5" x 6"
Icom F30GS, Icom F31GS, Icom F40G, Icom F41G, Icom F50, Icom F51, Icom F60, Icom F61, Icom F70, Icom F80, Icom F3161, Icom F3161S, Icom F3161DT/T, Icom F3161DS/S, Icom F3162, Icom F3262, Icom F4061S, Icom F4161, Icom F4161DS/S, Icom F4161DT/T, Icom F4162DT, Icom IC-M88 and all Icom multi pins radios.